Florent Mola is 21 years old, born and raised in Charleroi. As far as he can remember it, he has always been a movie enthusiast. 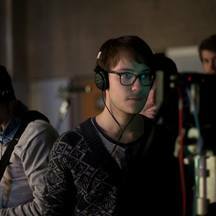 He’s already the author of two short-films and is currently finishing his last year of Director training at the Inraci (Brussels). Florent wants to pursue in this direction with Virale, a project that he’s been working on for more than a year.